Interview with Failure’s drummer Kellii Scott about the past, present, and future of the band here. 1996 was a fantastic year for music, and not just because I was thirteen years old, gobbling up anything that was played on mainstream alternative rock radio or 120 Minutes. Grunge was just about dead and out from the ashes came all sorts of interesting bands influenced by everything from The Beatles to the NASA Space Station. Among those interesting bands came Failure. They already had a couple albums under the belt, one even produced by the infamous Steve Albini, but it wasn’t until the world heard their third record Fantastic Planet later in the year, they understood just how interesting an album could be in the post-Nirvana world. With it’s lush soundscapes of studio experimentation sounding both like a breath of fresh air and mysteriously alien. Sadly though, like most of the interesting bands to come from that particular era, the mainstream alternative rock scene was in a transition thanks to the the grunge bubble. Labels had a hard time marketing something that didn’t fall into the cookie-cutter mold of simple genres of rock, country, rap, or pop, and despite having a moderately successful radio single and video on MTV with “Stuck On You,” Failure didn’t get the marketing push that some of the easier-to-market acts received. Along with personal issues among band members, they broke up. Fast forward to 2014, rumors began to surface that Failure was getting back together for a small tour and soon after even more rumors hinting at a new album. 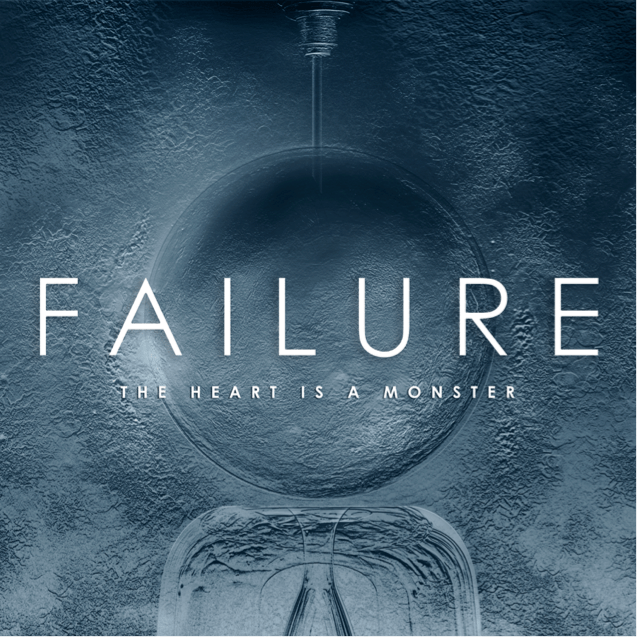 After the positive feedback of the first few shows, it was confirmed: Failure was back and a new album was ready to be unleashed upon the world, and not a moment too soon. For a band with only four records under their belt, and only one charting single, it’s almost strange to see just how influential Failure has been to alternative rock. They weren’t the first to dabble in industrial stylistics and most definitely not the last to push the envelope when it comes to genre blending, but there was something special about Fantastic Planet that really hit a nerve with bands that followed. Acts like A Perfect Circle and even Paramore have cited them as an influence. Talking so much about that 1996 album might lead some to believe that this twenty year follow up The Heart Is A Monster would be some sort of ham-fisted nostalgia trip, capitalizing on the on going trend of previously defunct bands getting back together to play the hits. But that couldn’t be further from the truth. Upon my first listen to The Heart Is A Monster I was immediately taken back to 1996, not because this record sounds dated or passé, but because sonically, it picked up right where Fantastic Planet left off! All of the experimental space rock is there as well as the David Bowie-esque pop sensibility. After the minute long ‘start up’ of “Segue 4,” (a wonderful wink to Fantastic Planet‘s tracklisting) the opener “Hot Traveler” sets the tone for the rest of the album. Strange, cosmic, brooding, and beautiful, just how classic Failure delivered so many years ago, only now brought into 2015 for a new generation. 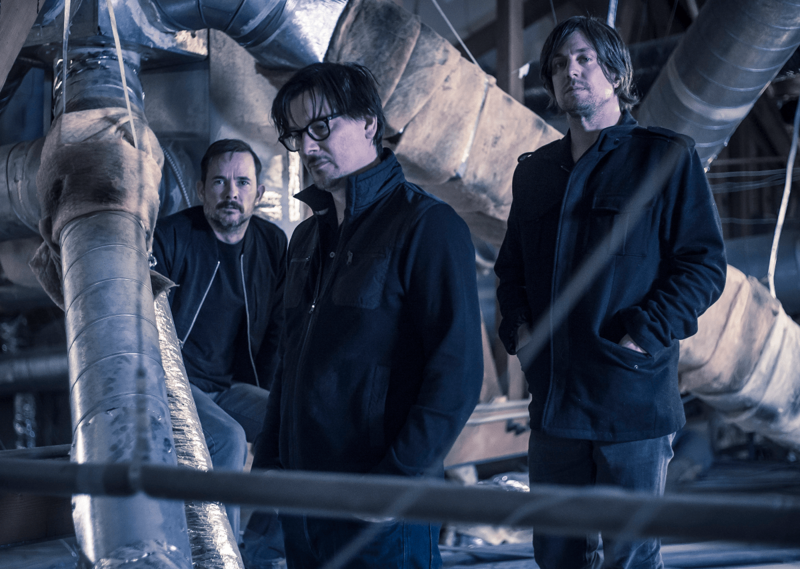 Even with so many current bands relying on studio trickery and digital manipulation to usher in the sound of modern rock, Failure still manage to sound fresh and interesting without seemingly like a gimmick. Again, The Heart Is A Monster is by no means firing on nostalgia cylinders, there is plenty of new ground that’s covered, “Otherwhere” sounds like the best industrial pop metal song Muse could never write, and “Mulholland Dr.” is just as much Beatles as it is David Lynch. There is plenty of natural progression within this album and I think is what makes it sound so genuine. Failure was never popular enough to cash in on their previous works but doing a paint-by-numbers comeback album trying to re-live or re-write their own history, instead it sounds like this particular batch of songs were created by the same individuals who wanted to make an album for themselves. “Come Crashing” is my favorite track for it’s lush production and cosmic performance sounding like Dave Grohl on hallucinogenics, drifting off into outer space. As odd as it sounds, it’s one of the stronger tracks on the record. Coming in at a close second would probably be “A.M. Amnesia” because it sounds like the long lost twin sister to “Stuck On You” with sinister intentions. This isn’t a pop record though, and even though I’m a huge fan of their previous work (Fantastic Planet in particular, one of my all time favorite records) it still took the second listen to actually find it’s groove for me. The songs rarely if ever, rely on hook filled choruses and sometimes flow into each other as if it’s one long narrative, but that’s also the overall charm of The Heart Is A Monster, it sounds like an album and not just a collection of songs thrown together. To really appreciate the genius of The Heart Is A Monster, one has to hit the lights, lay down, throw on some good quality headphones and just listen. My only legitimate complaint is the lack of lead single. I know it’s a waste of time these days to make music videos or push for radio play, but it would’ve been nice to have a single track that brings everything the album is about, into one song that you could use to turn your friends onto the album. Instead, we get an album that needs to be listened to in full in order to truly understand the beauty of it. Arguably, every artist should make records that demand the listener to actually listen to them in their entirety, but there is no “Stuck On You” on this album for me. In closing, The Heart Is A Monster lives up to the hype Failure fans have been anticipating. It delivers all of the other worldly space rock that made us fall in love with the band in the first place yet still manages to sound original and fresh, even among other industrial alternative bands who are far more younger and hungrier than Failure. It’s not so much a sequel or reboot of the classic Fantastic Planet but an honest to goodness continuation and worthy counterpart. Failure is back and just as strong, strange and wonderful as they were nearly twenty years ago. To all of the other recently united, once defunct alternative 90s bands, take note: this is how you get a band back together and pick up where you left off.